It was in the 1960’s, when I first began to find my way through the pages of The New Yorker, that I ran into an occasional piece of writing in the “Talk of the Town” column (unsigned, as they were then) that always began with: “We have received another communication from our friend the long-winded lady…” and was immediately hooked into the narrative. I was beginning to make my own way into journalism at the time, a vibrant world of with a long history of newspapers and newspaper writers from Ben Hecht to Carl Sandburg, reporter and poet of the streets……beginning to discover all the nooks and crannies of a concrete, neon, skyscraper city chock-full of Chicago stories, not to mention ethnic neighborhoods of nostalgia (language, food, stories) …beginning to love and revel in the ‘freedom’ of freelancing, where the wages were thin , but where a young writer found time, encouragement, and an incredible city audience to practice the craft of ‘real storytelling,’ all the while (nights and weekends) moonlighting on his true passion: the art of fiction. My personal mission was to bind the real to the imagined as much as possible. And so my Chicago ‘real stories” took on all the major ingredients of a short story, including, I felt, the whole matter of ‘theme.” The heart of the story. 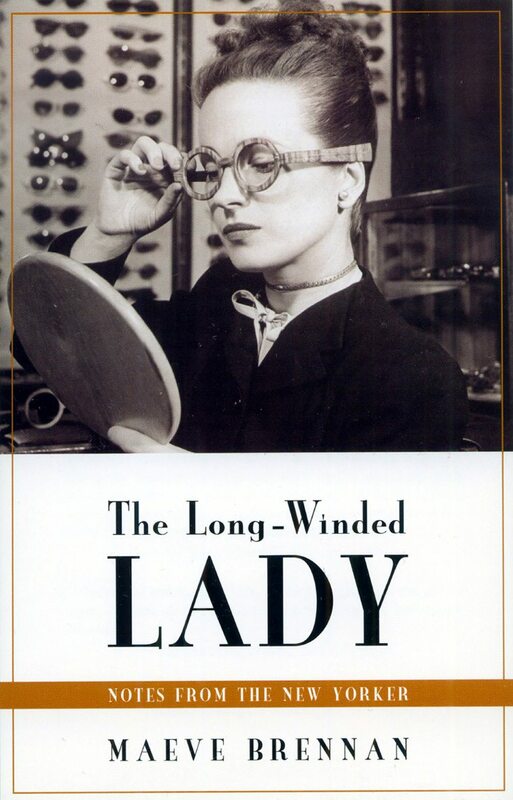 What I loved about “The Long-Winded Lady”, whoever the hell she was, was the writer’s total freedom to be out and about in the city, observing it all, feeling it in one’s bones, then coming back to one’s desk, whatever the hour, to find the words to reveal the story. Something ordinary—yet extraordinary. Secretly, I wanted her job! A Chicago column like that! Though I could never quite sell my editors on the idea. Close (with the Chicago Sun-Times), but no cigar. They preferred me as a hired gun, frequenting the city, the neighborhoods, finding the stories, writing them…then featuring them in the Sunday magazines of the two major newspapers: the Chicago Sun-Times and the Chicago Tribune. Which was fine, beyond satisfying…though I envied The Long-Winded Lady, her New York City territory, mostly alien to me but for a few ‘writer-ly’ visits, wondering if I dare make the move. I WAS in a new small supermarket the other evening, waiting to have my things put in a bag, when I saw a shabby tall man with red eyes, who had obviously been drinking heavily since the cradle, trying to decide between a can of beans, a canned whole dinner, a canned soup, and a canned chicken a la king. He had thirty-seven cents or twenty-nine cents or some sum like that, and he was standing there with the four cans, glaring down at them and all around at the stalls of vegetables and fruit and bread and so on. He couldn’t make up his mind what to buy to feed himself with, and it was plain that what he really wanted wasn’t food at all. I was thinking I wouldn’t blame him a bit if he just put the cans back on their shelves, or dropped them on the floor, and dashed into the bar-and-grill next door, where he could simply ask for a beer and drink it. Later on it occurred to me that, putting it roughly, there is usually only one thing we yearn to do that’s bad for us, while if we try to make the effort to do a virtuous or good thing, the choice is so great and wide that were really worn out before we can settle on what to do. I mean to say that the impulse toward good involves choice, and is complicated, and the impulse toward bad is hideously simple and easy, and I feel sorry for that poor tall red-eyed man. I HAD an early dinner last night on the second floor of the Schrafft’s on Fifth Avenue at Forty-sixth Street. When I had nearly finished, two ladies came in and took the table next to mine. They both wore very large hats and had a great many strands of pearls around their necks, and I could not help hearing every word they said, because they talked very loudly They both owned dress shops (or perhaps they only managed them; I couldn’t be sure), and they had just come from a fashion showing on Seventh Avenue, and they had once worked together in the same dress house, but until this meeting, which was now ending with dinner at Schraffts, they had not seen each other for several years. They mentioned the names of a good many people they both knew, and each name was ticked off with a remark or two that defined the absent one’s achievement or lack of it — she had married or she had not married, she was divorced, she had or had not moved away from New York, she had gone into business for herself or she had failed in business and was now working for somebody, and so on. The names clattered between the two ladies, and I had the feeling that everyone in the world was of the same size and of the same unimportance, and that we would all be disposed of very easily if these two women ever got hold of our names. The girl had brought my check and I was counting out my money when another name was mentioned, and I shall say that the name was Minnie Smith. Both ladies were eager talkers, but the more eager one said, “Oh, Minnie Smith. Nice little woman. Counts for nothing.” Then she dropped a new name, but I heard no more, because I was on my way to the cash register to pay what I owed. I rode down to the street floor in Schraffts majestic elevator, and I walked out onto Fifth Avenue and up Fifth to Forty-ninth and along Forty-ninth to the hotel where I live, which is very close to Seventh Avenue. On my way, I passed a lot of people, of all sizes and shapes and colors and ages. I passed Ameri¬can soldiers and foreign sailors and delivery boys and waiters and office workers and very young girls in groups and very young boys in groups and fathers and mothers and aunts and uncles and gypsies and bootblacks and priests and policemen and taximen and highly dressed people off for an evening on B roadway. Did I pass Minnie Smith? I shall never know. I kept thinking, Oh, Minnie Smith, what did you do to that awful woman? All the other names were dropped and squashed and left to kick themselves to death, but the name of Minnie Smith had to be obliterated, and in the obliteration she was delineated, and there she is now, larger than life. Imagine the power of Minnie Smith, who counts for nothing and is not there and can still turn the spade they are digging her grave into a flag with her name on it. I do not expect to ever see the two ladies from Schrafft’s again, and so there is very little chance that I will ever have another glimpse into the very eager one’s disappointed heart, where names are arranged according to the degree of the grudge that is held against them, but one thing I am certain of—on that ever-lengthening roster, the name of Minnie Smith leads all the rest. FROM the windows I have on the eleventh floor of this old Broadway hotel, I look down on West Forty-eighth Street, where the roofs of a few little houses that survive down there make a deep well inside the tall city that has grown up around them. Broadway is on my right -Broadway and all the big lights. A trombonist from the Latin Quarter appears on its roof every evening and gives a concert all by himself and to nobody. At that point the roof is only a story and a half high, and the crowd hurrying along just below him must be deafened by the Broadway din, because no one ever seems to stop to look up at him. Up here where I am, I can hear him very clearly. He comes up during intermission time, I suppose, and he saunters about for a minute, getting exercise, and then he walks to the edge of the roof and begins to play. He plays to the stars and he plays to the street and he plays for himself, with a large flourish to the right, a large flourish to the left. He is a heavyset man in a white shirt and black trousers, and his stage is a blackened roof that slants down to where he stands, with his toes almost touching the dazzling river of white and yellow neon light that rushes around the walls of the club. He stands in the middle of a vast explo¬sion of restless light — every sign on Broadway going full blast — but he would be invisible if it were not for the whiteness of his shirt and the shine of his trombone. Those Broadway lights are selfish. They illuminate only themselves. The trombonist doesn’t care. On his shelf of darkness, in the middle of all the splendor, he performs as devotedly as though he had the world at his feet. One evening he turned up on the roof at seven, clearly visible in the azure autumn air. He took his stand at the roofs edge and began to play, and at that moment an extremely tall young man stood up between the two blue-painted water towers of the Flanders Hotel (twelve stories high, to my left) and began playing the clarinet. They both seemed to be playing ‘A Gypsy Told Me/’ The trombonist, a few stories above the crowded street, faced east, and the clarinetist, half a block away from him and twelve stories up in the air, also faced east, and all around them, above and below, on both sides, and in all directions, far and near and high and low, they were surrounded by walls of windows — hundreds and hundreds and hundreds of windows — and all the windows were blind, because there was not a face to be seen at any of them. I have two very big rooms up here on the eleventh floor—two big, shapely, spacious rooms, with folding doors between them. The ceilings are high, and the walls are so thick that I never hear a sound from inside the building. From outside I hear many sounds. I hear the cats and the pigeons and the cars, and I hear church bells, fire engines, garbage machines and the unearthly clatter of garbage cans, horses’ hooves, radio music, singing, voices shouting, calling, laughing, denouncing, and screaming, glass break¬ing, airplanes, hammering, rain, the trombone-playing, and the roar of Broadway. Then today, at eleven-thirty, I heard some other music — the music of a very small band — and the tune being played was small and sweet and noticeably free: elfin music. The music came from Broad-way, and I felt sorry for myself, because I thought that there must be a parade going on and that I would have only a glimpse of it as it passed the corner of Forty-eighth Street. But the music came closer, and then, at the western side of the parking lot, a man came slowly into view. He wore a dark blue suit and a military cap of the same blue. He was the band. The drum was strapped in front of him, and balanced on it was a plate for people to throw money into. The cymbal was fastened to his left side, and he clashed it with something fastened to the inside of his left arm. The trumpet, the drumstick, and all the small pieces of his equipment were attached to him by strings, and the reason he moved so slowly was that he had almost no legs. His legs had been cut off far above the knee, but he had enough power left in them to work his way along in what was not a walk but an adamant advance, and, all the time, he played. He looked very small. He banged the drum and blew the trumpet and clashed the cymbals and piped on a little pipe, but although the street was fairly busy, nobody gave him any attention that I could see, and nobody gave him any money. He appeared as indifferent to those around him as they were to him and his music, but as he moved along he kept turning his head to look into the parking lot. He was very much interested in the parking lot. He examined it. He looked it over. He seemed to be considering it. Maybe he was only doing what we often do when we are alone in public: hide our faces by pretending an interest in whatever presents itself— anything, as long as it cannot stare back. I do not know. Suddenly a car drove into the parking lot at such high speed that when it stopped, the brakes screamed horribly, but before it stopped, as it hurried across the sidewalk, it came so close to the musician s back that I was sure it had brushed him. I got a fright, but the musician showed no sign of fright, or anxiety, or anger — not a sign of interest. He continued banging the drum, clashing the cymbal, blowing the trumpet; his music never faltered. Imperturbable, he ad¬vanced along his way and passed out of my sight behind the little houses just below me. His blithe, innocent music grew fainter and then faded, and I couldn’t hear him anymore. I thought he might turn around and come back to Broadway this way, but he did not come back — at least, not while I waited. I have received another dispatch from our friend the long-talented Door County Icon…and am thankful for it as always. I’m also in love with her hair. My mother wore hers in an “upsweep” during the forties and I remember sitting behind her while she fixed her hair in front of the vanity mirror in the alcove next to the bathroom. She had a little jar of felt pads that had liquid on them that held her “upsweep” in place – I think they were called Laquer Pads. I always wanted to have a similar hairdo, but it was only for grown ups, or at least that was what she told me. To even have thoughts such as these in one’s head, let alone put them on paper is a miracle. Thank heaven I can read”. 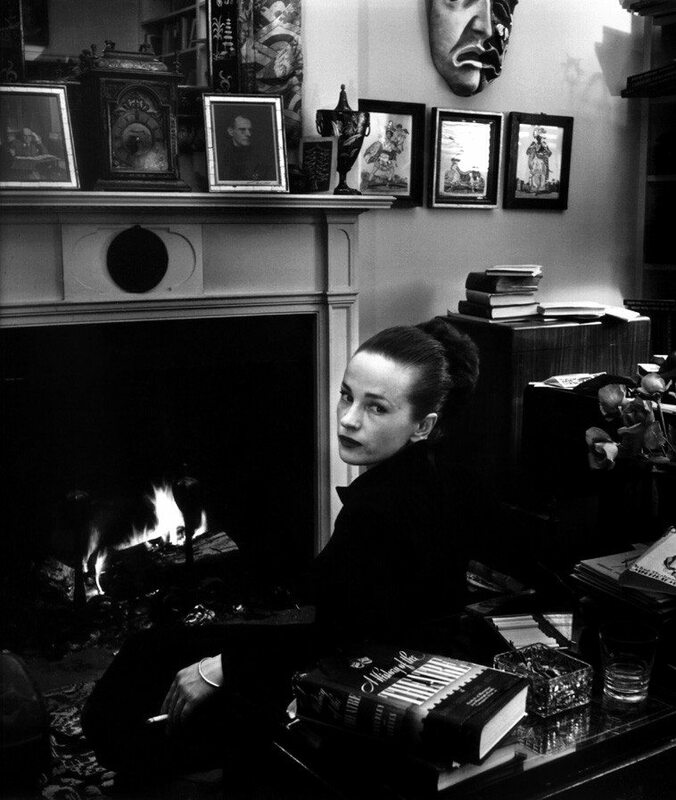 I have read about Maeve Brennan and something in the back of my head says she had a sad life, and died tragically. Am I wrong? Santa must be on his way. Norb I love this new project of yours. I’m already into the collected stories of Harry Petrakis and now here’s another wonderful writer I hadn’t known of. thanks yet again. The words? The photographs? The depths of your resources is unfathomable. I am in love with the glasses; move over Holly Golightly. Wonderful writing. Thanks for the introduction. Thanks too for your story at The Auditorium last night. It was perfect. Here’s to a healthy and interesting 2011! somehow this brought back memories of secretly listening to Mike Royko at his downtown hangouts in Chicago; I always read his stuff but never said anything to him…. what could I have said anyway. Nice writing Norb, sounds like you are back in the swing of things, feeling better. Thanks. I have a whole library of Norb Blei printouts. I thank you all for the great reception of Maeve Brennan’s work. I’m always amazed at the depth of appreciation and perception in these commentaries. Peter Orner (above), author of a stunning first collection of stories, ESTHER STORIES, notes William Maxwell’s (her editor at The New Yorker) insightful introduction to Brennan’s stories of Dublin, THE SPRINGS OF AFFECTION. Can’t add much to the puperlatives already stated except to repeat with full force that your columns are the absolute best thing on the entire worldwide web! Thank you! She was so perceptive of heart break, it must have broke her own…every day. What courage tocontinue.